As promised, I’ll blog about KYOTO, so here’s my Kyoto Travel Guide based on my recent visit to Kyoto, Japan to help you plan your trip to Kyoto this 2018. 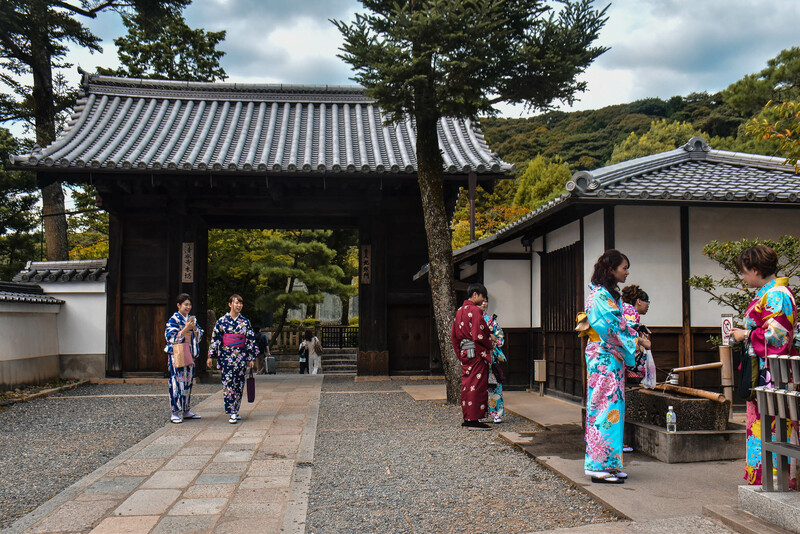 Kyoto is just as I imagined Japan to be – Japanese wearing their traditional kimono, ancient Japanese wooden temples fringed by Zen gardens and rich culinary tradition. After all, this bountiful district was the center of Japan’s culture for over 1,000 years. But after arriving in its bustling city center where towering buildings and complex train system welcomed me, admittedly, I wanted to find where I can get a glimpse of the “authentic” Japanese culture. But the moment I stepped out of Kyoto city center, I finally saw the reason why I wanted to book a trip here. 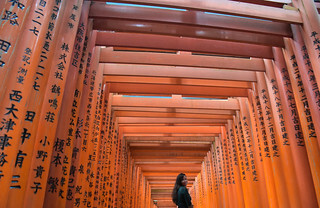 I was given the chance to visit Kyoto recently due to a blogger’s trip organized by Cebu Pacific Air. Japan has long been knocking on my door, the same airline gave me tickets a few years back, but I was not able to claim it. Then, a year after, I got another invite from another airline to visit Japan and blog my travel experience, but I never got to use the ticket because I was scared of applying for a Japan tourist visa. Then Cebu Pacific invited us to visit Nagoya, but I wasn’t available. So when the opportunity knocked again for the 4th time, I knew I was destined to visit Japan. So from the Philippines, we flew to Osaka, Japan and we did a side trip to Kyoto. But some of us decided to extend our trip and explore more of Kyoto as well as Nara. 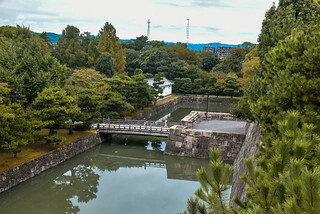 Kyoto, the erstwhile imperial capital of Japan from its foundation until the 19th century. Most travelers booking a trip to Osaka, include Kyoto on their itinerary and it is easy to understand why. 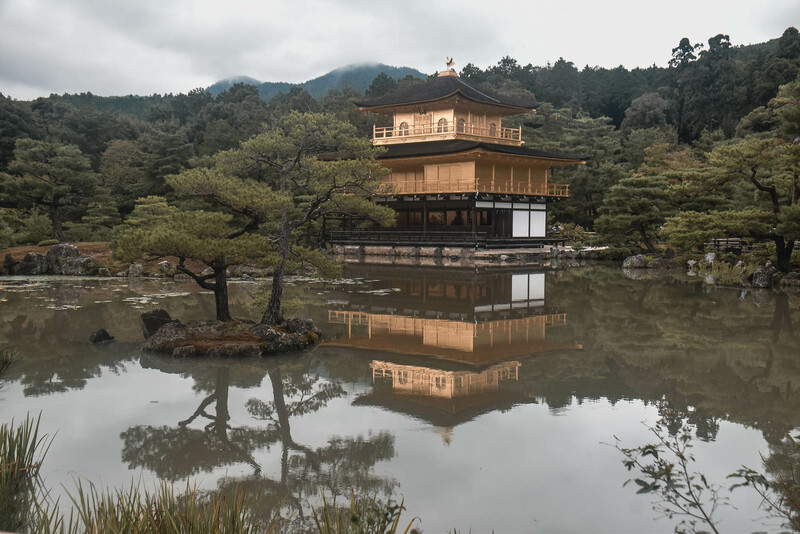 Kyoto may not be as colossal as other cities in Japan (although historically it was, until it was bested by Tokyo and Osaka), but it is absolutely soaked in history and traditions. 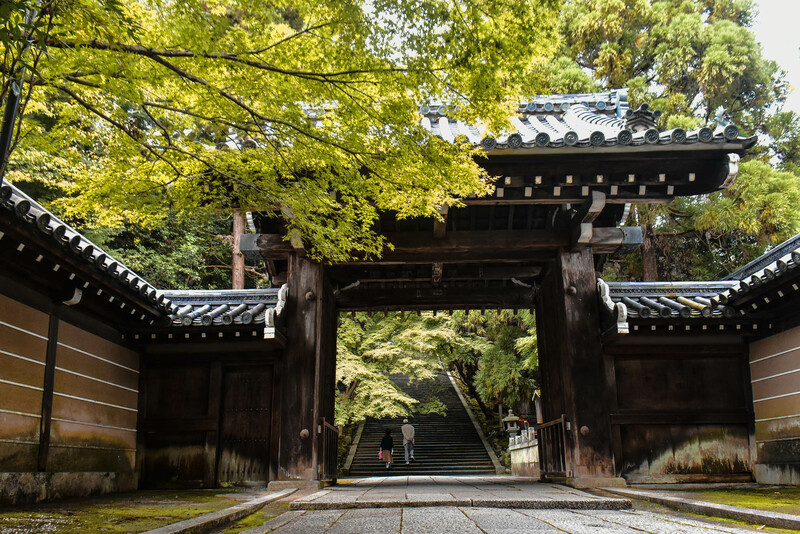 In fact, this traditional Japanese city is peppered with more or less 2,000 sacred temples and shrines including 17 UNESCO World Heritage Sites. So where exactly is Kyoto? Kyoto is a city situated in Kyoto Prefecture in Kansai Region on Honshu Island, Japan. Since Kyoto doesn’t have its own airport, the nearest international airport is Kansai International Airport in Osaka, Japan. If you are planning a trip to Kyoto, might as well include Osaka, Nara, Kobe or Himeji in your travel plan. Just like Osaka, Kyoto is also a year round destination, but spring attracts the most tourists because of the cherry blossom season. This period usually starts around mid-March until cherry blossoms reaches its full bloom roughly 2nd week of April. But if you are like me who wants to see Kyoto in varied colors, visit around November to December due to the autumn foliage. Not as swamped as spring, but definitely as charming. 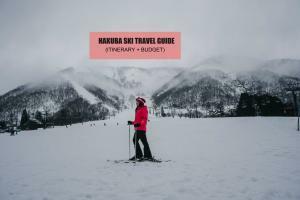 If you are living in Southeast Asia and you want to experience snowfall, Japan is one of the nearest countries to tick that off your bucket-list. Winter in Japan starts in December and ends in February. Nonetheless, whatever season you plan to see Kyoto, you will not get disappointed, because Kyoto parades its allure all season. I exchanged my money near the arrival area of Kansai International Airport (KIX) in Osaka. Otherwise, you can just withdraw from the ATMs in 7-Eleven around Kyoto city. Take note that many ATMs in Japan do not accept foreign credit card, debit card or ATMs. Withdrawal fee is JPY 600 / PHP 300/ USD 6. Do inform your bank that you will be traveling to Japan just to ensure that you won’t have a problem withdrawing overseas because for security purposes, some banks block the card whenever they notice suspicious foreign transactions. Wi-Fi while traveling around Kyoto is inevitable for me especially when commuting. So when riding buses and trains on my own, I always consult these two : Google Maps and Hperdia.com. Google Maps is reliable for location tracking and lets me know how far I am from my destination. I use Google Maps all the time when riding buses. On the other hand, Hyperdia.com tells me which train to ride, where to get off and how much is the fare for the train ride. Upon arrival at Kansai International Airport in Osaka, there are Wi-Fi router for rent at the arrival section for roughly PHP 397/ JPY 900 / USD 8 per day (they only accept credit cards). However, because it is usually in-demand, sometimes they are out of stock. To avoid the hassle of looking for a Wi-Fi router, I recommend you rent a Wi-Fi router before leaving the Philippines. You can rent a 4G WiFi pocket handy device with convenient pick up and drop off at all international airports in Japan. You can enjoy 4G WiFi coverage across Japan on a pay per day rental basis and connect up to 5 devices on the same pocket WiFi router. Per day rate is roughly PHP 224 / JPY 508 / USD 4.51, by far the cheapest rate I’ve heard. You can rent a 4G pocket WiFI here. Like I mentioned above, the nearest airport to Kyoto is Kansai International Airport, popularly known as KIX, situated in Osaka, Japan. There are several airlines flying to Osaka from the Philippines, but we flew via Cebu Pacific, the largest airline in the Philippines. They have flights between Manila and Osaka five times weekly, with lowest year-round fares starting from PHP 6,399. If you plan to visit Tokyo too, you can book your return flight to Tokyo as they also fly from Tokyo (Narita) to Manila and Cebu, Nagoya and Fukuoka to Manila and vice versa. Book its trademark lowest fares now through http://bit.ly/CEBOsakaflights or (+632)7020888, or follow its Facebook or Twitter pages for the latest seat sales. If you are just traveling within the Kansai Region in Japan, you can purchase a JR West Kansai Area Railpass here. From Kansai International Airport in Osaka, to get to Kyoto, you can ride a train. Haruka train departs every 30 minutes, so about 2 trains per hour. Travel time is about 1 hour and 40 minutes. Fare is about PHP 847 / JPY 1,880 / USD 35. Non-reserved seat fee PHP 970 /JPY 1,114 / USD 9. Reserved seat fee is PHP 761 / JPY 1,690 / USD 15. Green seat is PHP / JPY 2,250 / USD 20. So total fare is around PHP 1,608 to PHP 1,817/ JPY 3,570 to JPY 3,350/ USD 35 to USD 44. 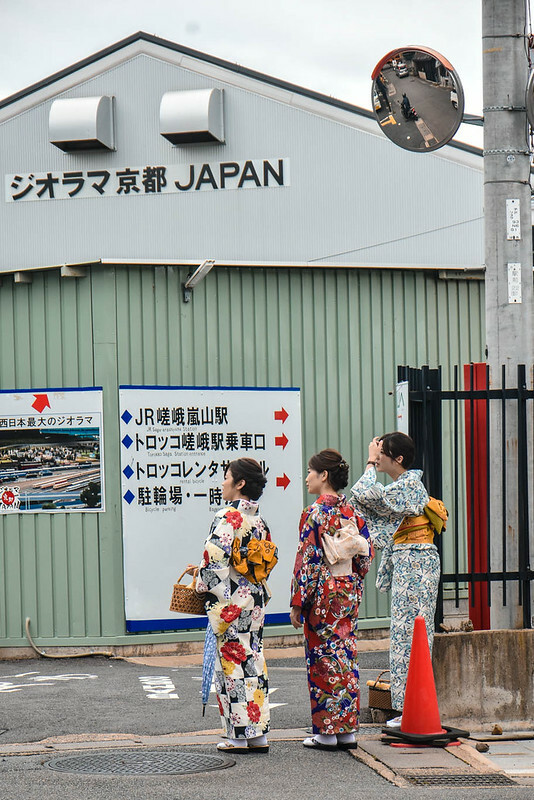 If you want to save on Haruka train ride, use your JR Railpass, or your ICOCA Card. If you have a JR Railpass, you can ride the Haruka train, a limited express train to Kyoto for free. Since Haruka train is a limited service, you need a fare ticket (passing the gate) for non-reserved travel and a limited express ticket (Haruka ticket). In case you don’t have a JR Railpass, you can also use the ICOCA Card, you can purchase the ICOCA Card here for fare ticket (passing the gate) and just purchase a Haruka ticket from the conductor onboard the train. ICOCA & HARUKA is a set of cards: ICOCA IC Card pre-charged with JPY 1,500 / PHP 676/ USD 13.47 + a discounted ticket for the Kansai-Airport Express HARUKA. You can use the ICOCA Card on JR, subway, private railway and bus transportation and even for shopping in the Kansai Area and beyond, meanwhile, the Kansai-Airport Express HARUKA offers direct trip from Kansai-airport Station to Tennoji, Shin-Osaka and Kyoto Stations. Take note that Haruka doesn’t stop at Osaka Station, only at Shin-Osaka Station. From Kansai International Airport (KIK), to get to Kyoto City, you can also take the JR Airport Rapid Train to Osaka Station. Then at Osaka Station, take another train at JR Kyoto Line to Kyoto. Travel time is about 1 hour and 40 minutes. From Kansai International Airport (KIX) take the Nankai Ltd. Exp. Rapit 52 to Osaka. Get off at Osaka Station. Travel time is 53 minutes. Then take the LTD. Exp Thunderbird 29 to Kyoto. Travel time is 27 minutes. Total fare is about PHP 1,351 /JPY 3,000 / USD 27. From Kansai international Airport, there are limousine buses that can take you directly to Osaka or Kyoto. You can purchase a bus ticket for the airport transfer to Osaka and Kyoto here. Hiring a car in Kyoto is expensive. If your wallet is well-endowed and you want stress-free transfer from Kansai International Airport to Kyoto, you can rent a car. Since Kansai International Airport is really far from Kyoto (about 56 KM or about 1 hour 3 mins drive) taking a cab is really expensive. Flag down is PHP 301 / JPY 650 / USD 6. What I like about traveling in Kyoto is its efficient transport system. The trains connect each city or destinations to another. It might look complex for a first-timer, but if you observe well and use the train often, you’ll get the hang of it. Same with buses, almost everything in Kyoto is connected by a network of bus routes. 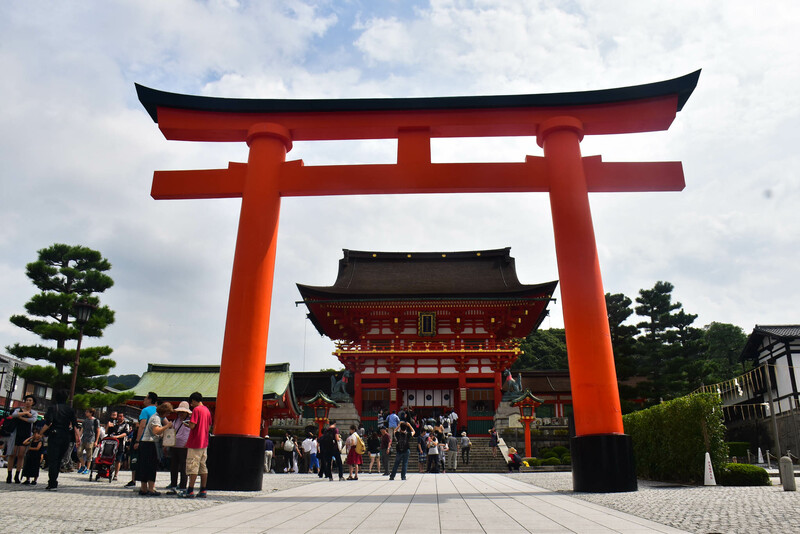 If you have a JR Pass, you can use it in getting to some of Kyoto’s top attractions like Fushimi Inari Station, Tofuku-ji Temple, Uji and Arashiyama from Kyoto Station. Kyoto’s train system is made up of JR Lines and other private lines like Hankyu Lines. 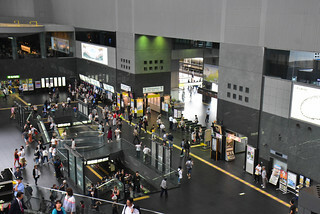 You can also use your JR Pass to travel to nearby cities like Osaka, Nara and Kobe. You can purchase a JR West Rail Pass here if you are only traveling in Kansai Region. If you are traveling beyond Kansai, for example you are going to Kyoto or Nagoya, I recommend buying a JR Rail Pass. One of my favorite ways for Kyoto sightseeing is by bus because they have routes that cover the entire city. Getting around by bus in Japan is not as convenient as by train, but it is enjoyable and information is easy to come by. While most city buses runs from 7:00 AM until 9:00 PM daily, a few start as early as 5:30 AM until 11:00 PM. When the bus and subway systems close for the night, generally around midnight, your only option will be riding a cab. I suggest getting a bus map from the Tourist Information Center so you’ll have an idea about the bus route. I highly recommend getting on the Raku Buses as they are meant for tourist sight-seeing. If you board the regular city buses, many of them don’t have signs in English, unlike the Raku Bus. 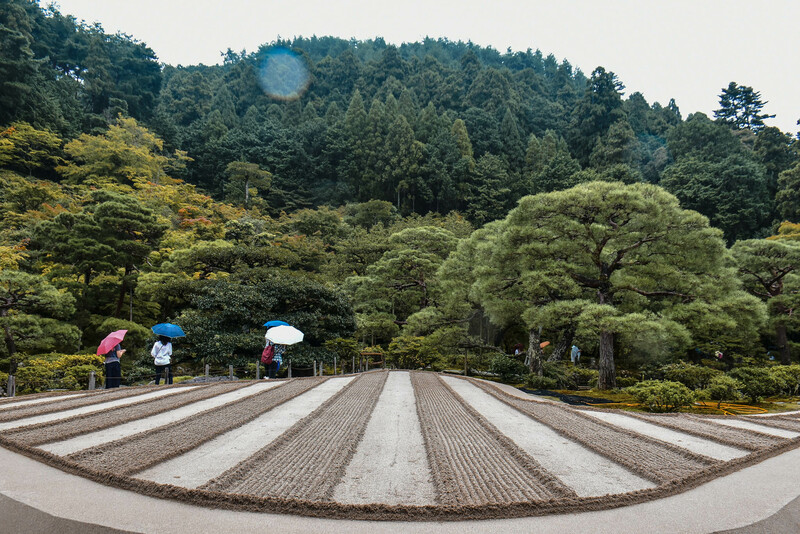 Raku Bus 102 departs from the Ginkakuji-michi Bus Stop from 8:04 AM to 4:34 PM with the following route: Ginkakuji Temple → Kyoto Imperial Palace→Kitano Tenmangu Shrine → Kinkakuji Temple → Daitokuji Temple → Kitaoji Bus Terminal. I recommend buying a Kyoto City Bus Pass or purchase a Kansai Thru Pass here for unlimited rides on subways, railways and buses across Kansai and Osaka Bay Region (Kyoto, Osaka, Nara, Kobe) for 2 or 3 days. You can use your Kyoto City Bus Pass or Kansai Thru Pass on Raku Buses that I discussed above. . When you board the Kyoto City Bus Pass or your Kansai Thru Pass with your 1 or 2 day pass for the first time, the first time you get off the bus, you need to enter the card on the card slot and the date will be printed. Then the next time you board the bus, just show the card with the date to the driver. In case you board the non-flat fare routes bus, you need to enter the card again to the card slot. You will be billed extra if your stop is outside the short distance (flat fare) route. Flat rate bus fare is JPY 230 / PHP 102/ USD 2 for adults and JPY 120 / PHP 53.45 / USD 1.07 for kids. At each bus stop, a guidepost indicates the stop name, the bus route, the bus number and even a timetable for services on weekdays and weekends and public holidays. Take note that when riding a bus in Kyoto, you have to enter at the rear door and exit at the front door. There is a paper ticket dispensing machine beside the driver, tell the driver where you are going and drop the exact fare there. If you are riding the Raku Bus, the next stop will be announced in Japanese and sometimes English. Taking a taxi in Kyoto is expensive, but if you want a comfortable and stress-free journey to your destination and you don’t mind spending more money, then take a taxi. Flag down is JPY 650 / PHP 301 / USD 6. Many taxi drivers in Kyoto are elders, so in a way, you are helping them stay in their job. Car rental in Kyoto is possible but quite hefty as they charge per hour. That’s the cheapest rate I’ve seen. Kyoto is the cradle of Japanese culture, exploring this charming city is like walking back in time. 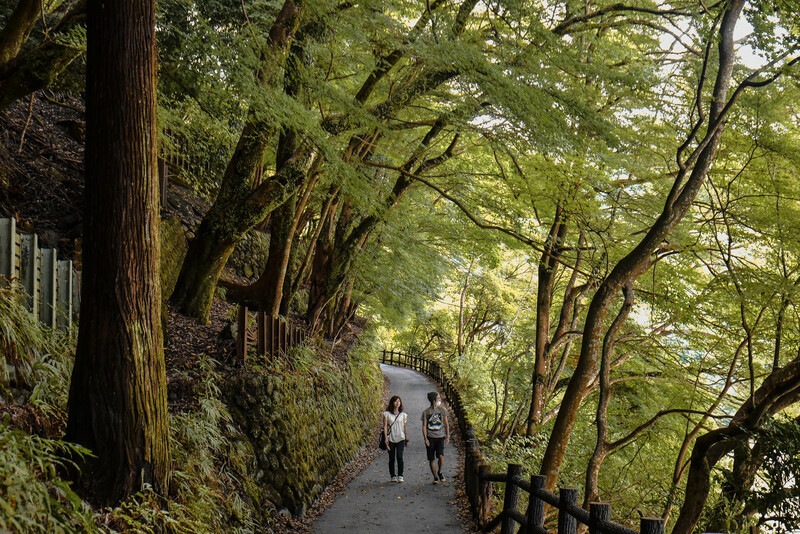 The city is blissfully dappled with ancient temples and shrines, imperial palace and castles and classical Japanese gardens, all of these vying for your attention. 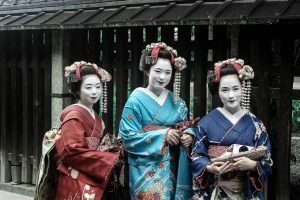 In Kyoto, you’ll still see elderly women sporting their kimonos and geishas and miko still entertaining visitors (at exorbitant prices though). 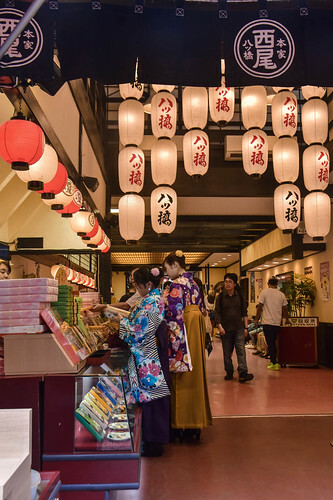 With so much to see and do in Kyoto, you’ll probably be templed out, so plan your itinerary well to balance the visit to shrines, temples and museums and shopping at traditional shops (see my sample Kyoto itinerary and guide below). Here are some of the top attractions for first-timers in Kyoto. When planning your Kyoto itinerary, it is important to take note that most of Kyotos sights are spread out over the following district. 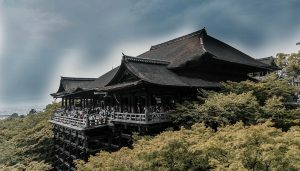 For a detailed guide on how to get to Kyoto top attractions, read my blog here: TOP ATTRACTIONS IN KYOTO, JAPAN and HOW TO GET THERE. 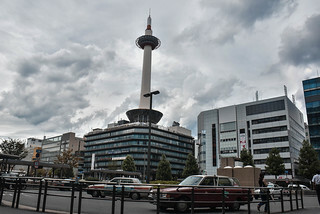 Central Kyoto is the business hub of Kyoto City, this is where most of the hotels are concentrated. 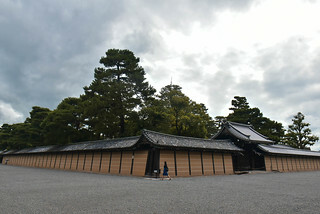 But it is also home to Toji (one of the oldest city temples), the Kyoto Imperial Palace and Nijo-jo Castle, former abode of the Tokugawa shoguns. 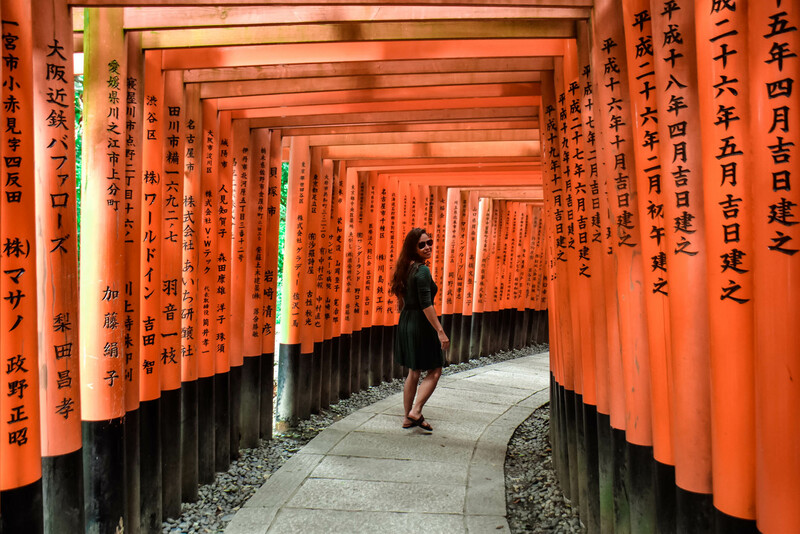 Southern Kyoto is made up mostly of the Kyoto ancient capital, this is where you head to get to the poular Fushimi Inari Shrine. 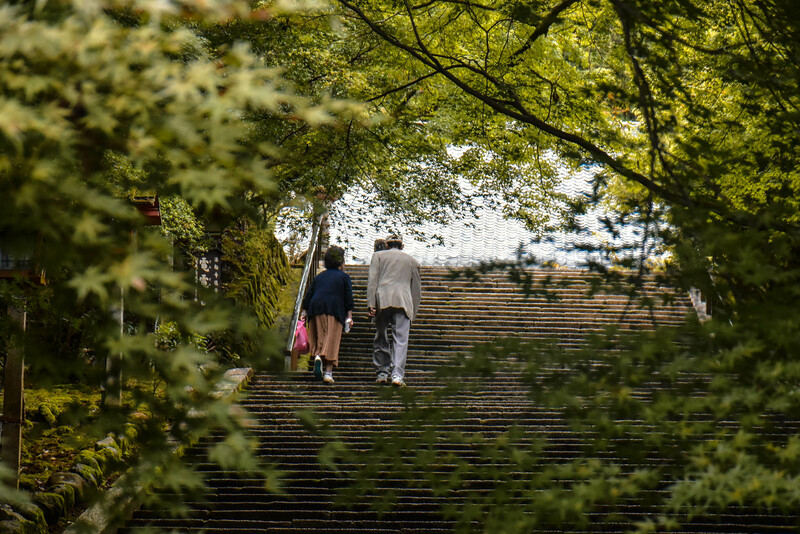 Most of Kyoto’s interesting century-old shrines and temples can be found here including UNESCO World heritage Sites. 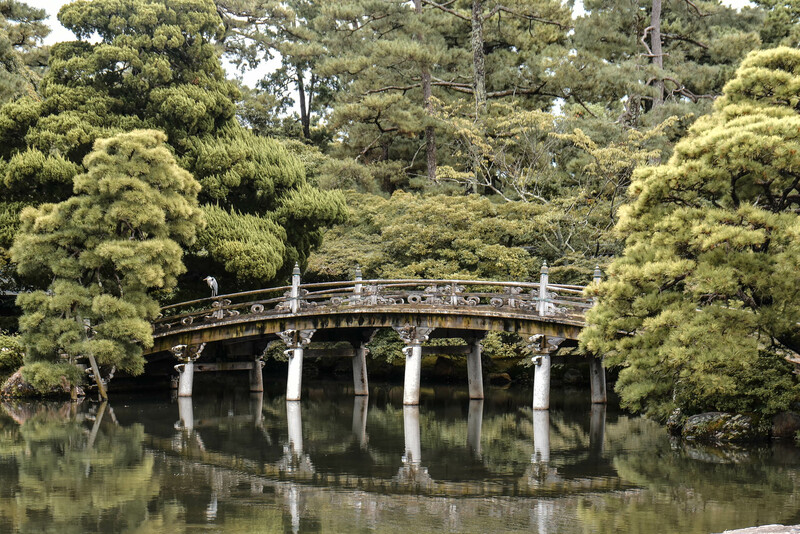 This is where you’ll find Kinkakuji (Golden Pavilion), Ryoanji temple, Ninnaji Temple and Kamo Shrines, among others. Care to see geishas and miko that still entertain? 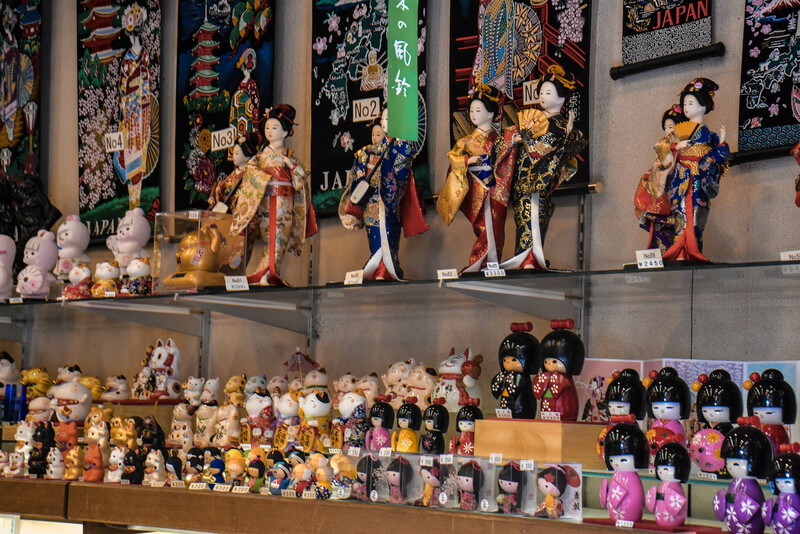 Head to Gion District in Eastern Kyoto, but prepare your wallet as prices are ridiculously expensive here. If you cannot afford a tea ceremony with the geishas at one of the traditional tea houses here, you can dine instead at one of the many restaurants sprinkled in Gion. 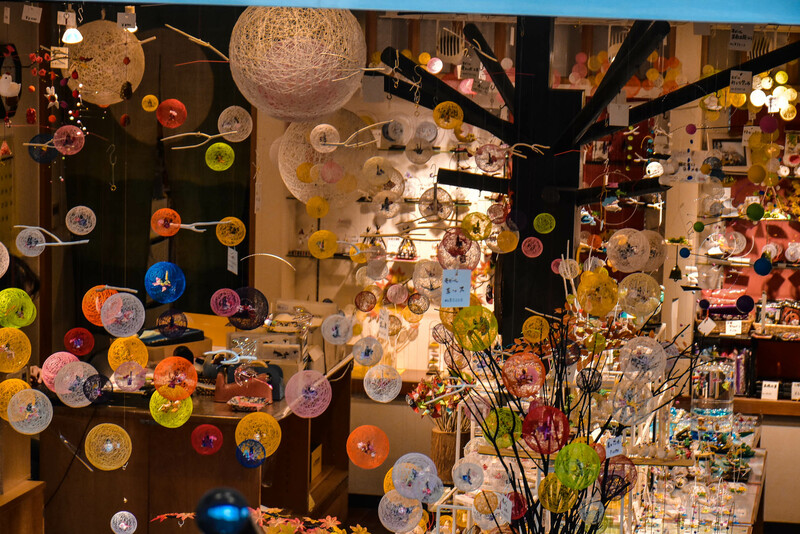 Interestingly, Gion is an entertainment district by night and a traditional shopping neighborhood by day. 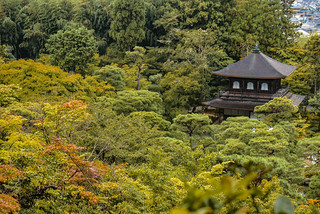 Eastern Kyoto is also dappled with popular temples and shrines such as Kiyomizu-dera temple, Ginkaku-ji (Silver Pavilion) and Philosopher’s Path. One of my favorite district in Kyoto is Arayashima, I could spend one day exploring this district alone with beautiful Bamboo Forest and temples and shrines hidden in forest-fringed mountains. Just avoid the holidays and weekends because it can get pretty crowded. 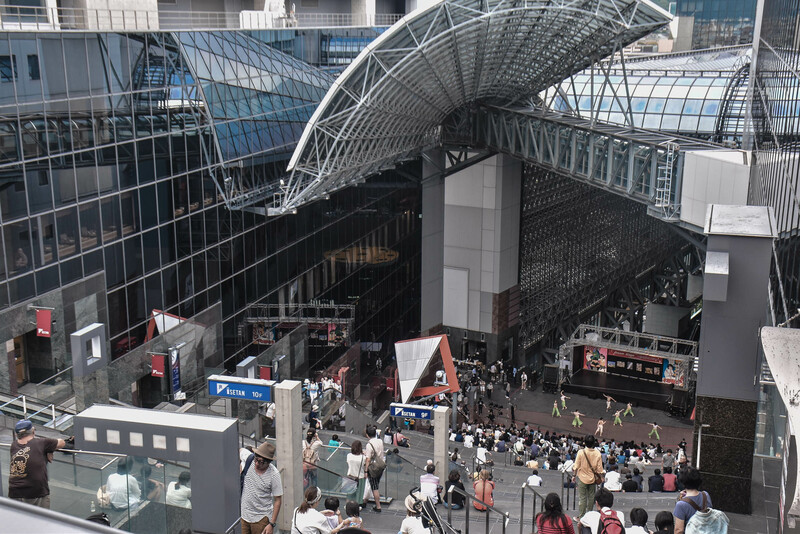 When in Kyoto, I like staying near Kyoto Station because public transport is readily accessible. Here are some of the best hotels and hostels you can find near Kyoto Train Station. Kyoto like Osaka is a foodie haven, boasting more or less 174 Michelin star Restaurant, but your wallet must be well-endowed if you want to try them as the dishes usually start at PHP 6,306 / JPY 14,000 / USD 126. 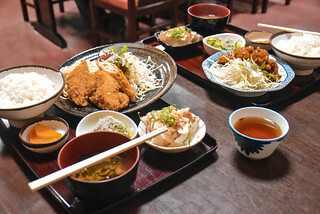 Kyoto is well-known for kaiseke (huate cuisine), a traditional multi-course Japanese meal that has been around for over 500 years. There are a lot of restaurants in Kyoto to try this, some have Michelin star ratings. Because we didn’t really have much time, we just dined at restaurants near the attractions we are visiting. 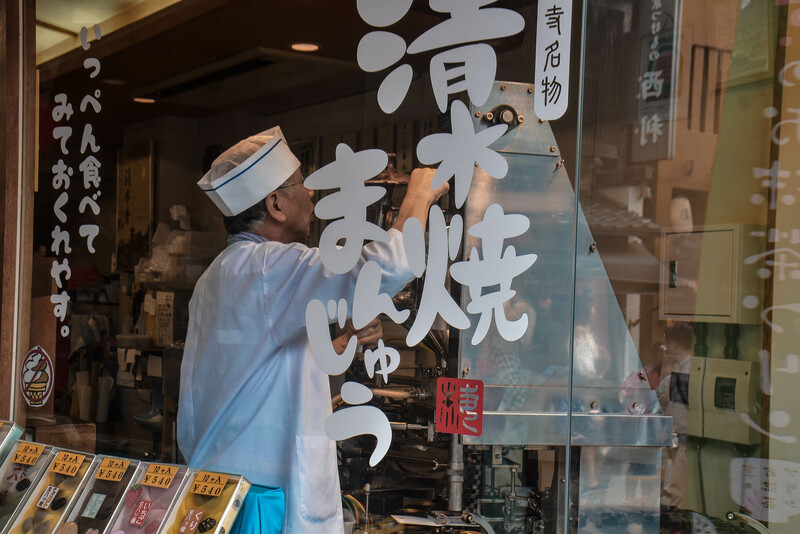 If you are on a budget, your best bet is “tachi-kui” (stand-and-eat restaurants) scattered along downtown Kyoto and train stations. My friend Marky and I tried one near our hostel, but because we were lazy, we opted to sit. The food is as cheap as those sold at Lawsons or 7 Eleven. If you are craving for ramen like us, rush to the 10th floor of Kyoto Station where the Kyoto Ramen Street (Kyoto Ramen Koji) is located. This is where you’ll find cheap eats in Kyoto and restaurants serving ramen. To order ramen, you need to use the vending machine in front of the café/ resto to pick the ramen that you want. Don’t worry as there are food pictures and English button. Then, once you have your ticket, hand it to the restaurant staff. Honestly though, the ramen that we tried at one of the ramen place here didn’t really work for me. Eat Paradise at the 11th floor of Kyoto Station has a wide selection of restaurants to choose from, serving moderate to expensive meals. If you want to taste traditional Japanese dishes in a traditional setting, head to Gion District. This place is oozing with restaurants serving Japanese dishes. 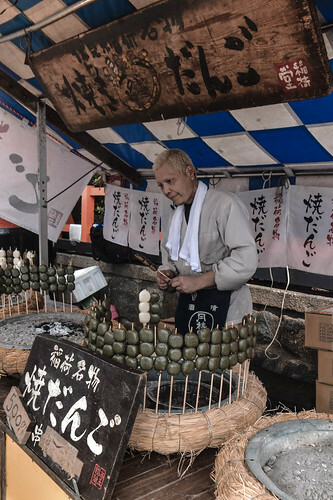 Fushimi Inari Shrine is peppered with food stalls selling different kinds of Japanese street food. 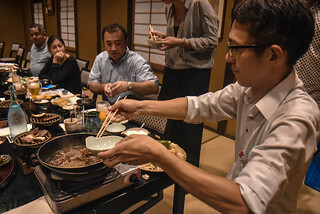 Hatakaku Restaurant invented “botan nabe”(wild boar hot pot stew), a popular dish in the mountainous area of Japan where wild boars are pretty common. To make this dish, wild boar meat is thinly sliced and arranged like a peony flower (botan) on a plate. However, it is only served around November to March during winter season when the wild boar meat is available. Prepare around JPY 10,000 for this dish, so best to tag some friends along so you can share the cost. The restaurant is just north of the Kyoto Imperial Palace. 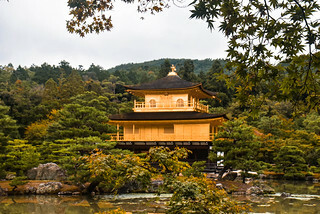 This Kyoto travel guide won’t be complete without the sample Kyoto trip itinerary. 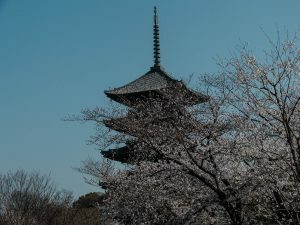 Here’s my sample 3 day itinerary for Kyoto, Japan, feel free to make adjustments depending on your travel schedule and budget. Also, do note that before heading to Kyoto, we already explored Osaka. 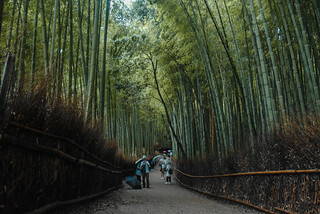 If you spend 2-3 days in Kyoto, it will give you time to explore the usual top attractions in Kyoto for first-timers. After Kyoto, you can also do Nara or Kobe, but we opted to go to Nara after. Will be writing a detailed Nara Travel Guide soon. 08:00 AM Head to Kyoto Station. 10:20 AM Return to Kyoto Station. Take JR Nara Line for Kyoto. Transit time is 5 minutes and fare is JPY 140/PHP 166 (USD 1.30/EURO 1/SGD 2/MYR 5). 12:30 PM Back to Kyoto Station. Depart for Kiyomizu-dera Temple. 05:00 PM Walk towards Gion District. Alternatively, you can take a bus (Bus #100, 202, 206, or 207) from Kiyomizumichi Bus Stop or Gojozaka Bus Stop. Alight at Gion bus stop, in front of Yasaka Shrine. It’s just 2 or 3 bus stops from either stop. 09:00 PM From Gion-Shijo Station take a Keihan Main Line and alight at Tofukuji Station. Transit time is about 5 minutes. Transfer to JR Nara Line for Kyoto and alight at Kyoto Station. Transit time is roughly 2 minutes. Total train fare is JPY 270/PHP 127 (USD 3/EURO 3/SGD 3/MYR 11). 08:30 PM Back to hotel. 10:00 PM Sleep. Pack bag. 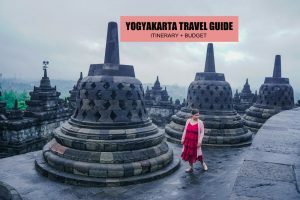 To help guide you in planning your trip to Kyoto, here’s a sample breakdown of expenses for a 3 day budget trip in Kyoto, to give you a rough estimate of how much to spend while in Kyoto. 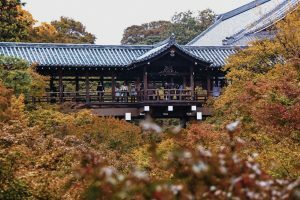 Budget for Kyoto is tricky as it will also depend on how much you spend on food and accommodation. Japan is not as expensive as I thought, as you can see from the expenses breakdown below, it is manageable. Hi! I’m travelling to Kyoto soon with my senior citizen parents. I’ve been to Kyoto before and I know there’s a lot of walking involved to get to one place to another. I’m interested in the BUS DAY TOUR. I think this will be the most comfortable for them to go around Kyoto. I tried the link that you mentioned but got directed to a different offering – Hankyu Tourist Pass. Or is it right? I’m a little confused. Hope you can help me with this. Thank you! Salamat! Ang dami kong nalaman! Thanks for sharing . I really enjoyed reading you blogs. Hope i can go to Japan too and visits some of their famous landmarks.